Trainer James Cummings will direct Expressway Stakes winner Alizee to the Group One Futurity Stakes. Star mare Alizee has continued her successful comeback with victory in the Group Two Expressway Stakes accompanied by a jockey who has also returned from adversity in winning style. After five months on the sidelines recovering from serious neck injuries, Blake Shinn rode two winners at Randwick and climbed aboard the Godolphin mare at Rosehill on Saturday for the first time. Alizee missed the spring because of an enforced three-month ban after a bleeding attack and made a successful return to win the Christmas Classic at the end of December. 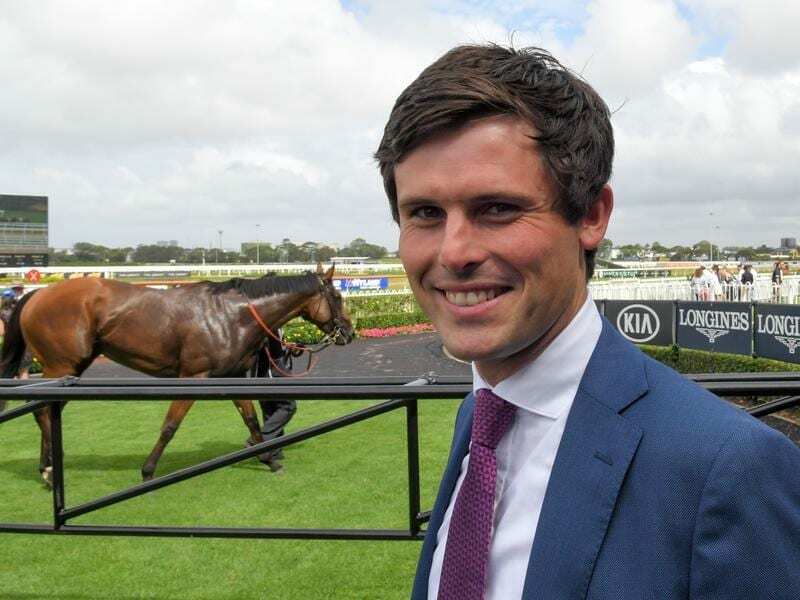 Between then and Saturday’s 1200m-sprint, she had a barrier trial to keep her ticking over and was sent out the $3 second-elect with Trapeze Artist at $2.30. Dothraki led the five-horse field with Alizee biding her time at the back until Shinn brought her wide and let her go down the centre of the track to beat Le Romain by two lengths. “She is just a queen,” Shinn said. “She was a pleasure to ride. It was really nothing more than a track gallop for her out there. The track was soft after a day of steady rain and high humidity, conditions that did not bother Alizee. “It’s so good to see a mare of her quality come back like she has,” trainer James Cummings said. “She has had a faultless campaign and she is a serious mare. “The Futurity Stakes in Melbourne looks like a great race for her. The Group One Futurity Stakes (1400m) is at Caulfield on February 23, three weeks before the $5 million All-Star Mile at Flemington for which she is favourite. Those races are also on the agenda for Le Romain. “He went well,” trainer Kris Lees said. One horse that will be taking on Winx in the Group Two Apollo Stakes (1400m) in two weeks is Trapeze Artist who finished fourth in the Expressway. Trainer Gerald Ryan said conditions were not too his liking. “He goes much better on heavy tracks or good tracks but he doesn’t like them soft,” Ryan said.